Today’s “You Guest It” features one of those crafts that makes you go: “That’s AWE-SOME!” In fact, I believe those exact words fell out of my mouth when I first laid eyes on it. So let us not dilly dally. Let us get to it, shall we? Coming to you all the way from Sweden, welcome the talented Jenny a.k.a. The Bushcrafter! My name is Jenny. I’m so glad to be a part of this wonderful “You Guest It” series that Michele has set up for us all to enjoy. I am a textile crafter and I call myself “The Bushcrafter“. I am a soul-centered creator and also an artist and teacher. In me, I have some sort of fabric spirit who wants, pretty much, nothing else but to create. So I let it. You know. Let spirit be what spirit is. I would say we are all crafters. In one way, or another. When I’m faced with a problem, I try to solve it by using what I have. That’s crafting for me. I enjoy melding crafting and recycling together, making the ordinary into beauty. 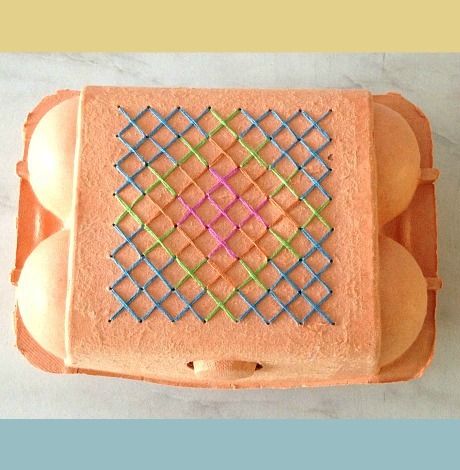 Today I’m sharing how to embellish your egg carton with cross stitch. 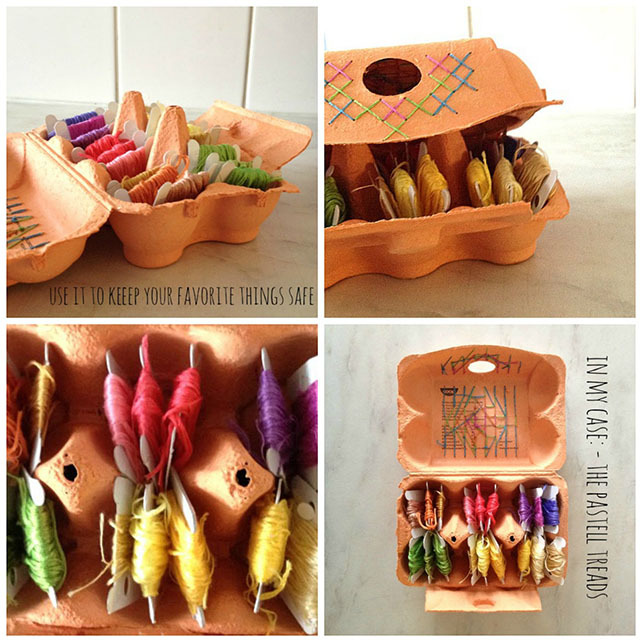 In this project we are using the whole egg carton and adding the sparkle with threads and colour. 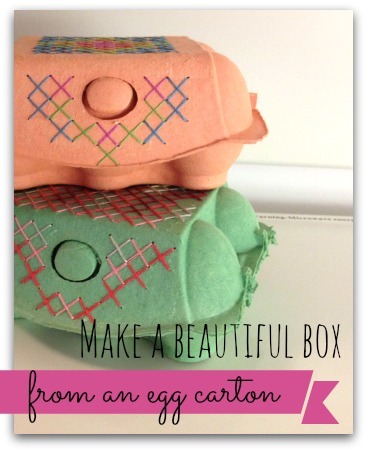 With a few easy steps you can create your own beautiful box. 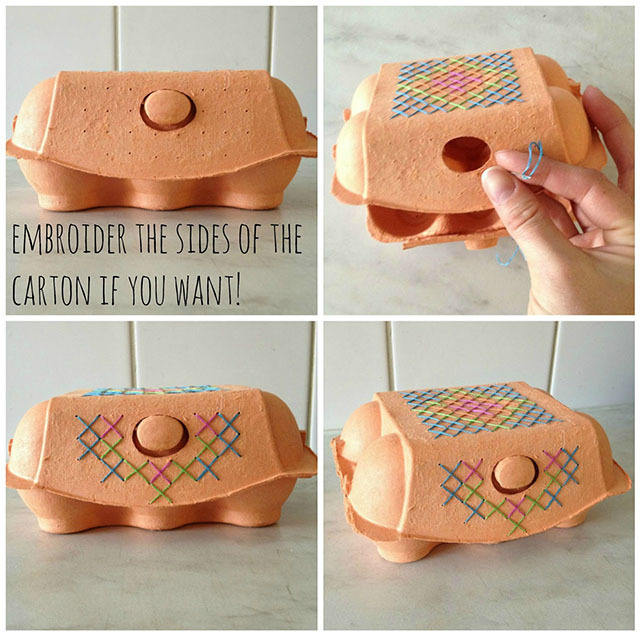 Embroidering on an egg carton is easy-peasy, just follow these instructions. 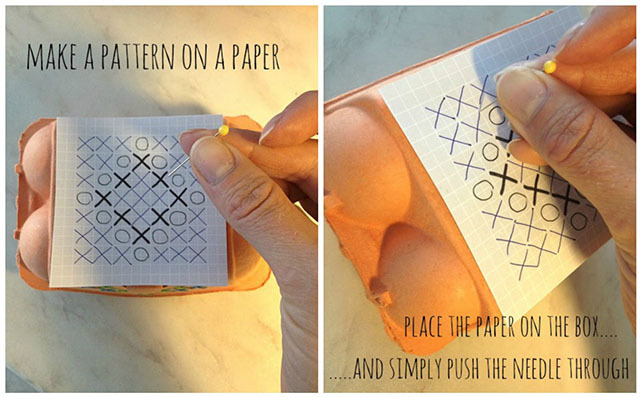 Peel off any stickers from the egg carton. If you have print on the carton, you could try to painting the top. Draw a pattern on a piece of paper. Place the paper on the box and push the pin all the way through in all corners. You can embroider the sides of the carton too if you want. Voila! You are done. You can now use it to keep your favorite things safe. Here I store my pastel threads. You might want to use it for your jewelery or your buttons. It´s your choice! You must admit that this is great, right? I mean the combination of recycling and crafting alone makes me want to do a jig. But the embroidery? On an egg carton? Well, that sends me head-long into a cha cha cha! And while you’re at it, pop into her shop because some of these beauties are actually available for purchase there. Thank you Jenny for letting me showcase your beautiful work on the blog today. What a true pleasure this has been for me! P.S. Have an idea for an eco-craft? Submit a guest-post idea to Michele Made Me’s “You Guest It”! Find those details HERE. 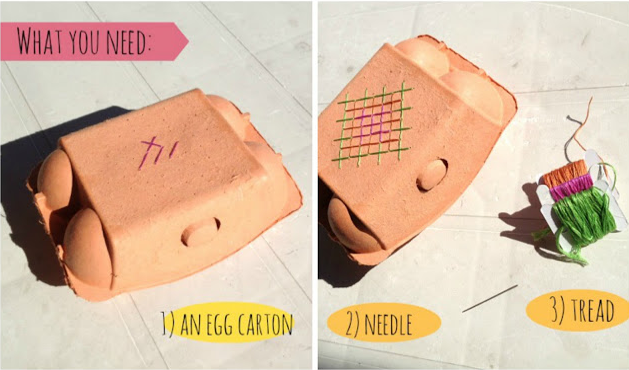 This is a great idea…it is amazing how many uses one can find for egg cartons. Well, this takes the egg cartons to another level! Sweet, gorgeous and such a wonderful recycle! Thanks, Jenny! Thanks, Michele, for finding and hosting such a charming craft! What a great idea! I'm off to check out what else Jenny has on her blog! This is simply wonderful. 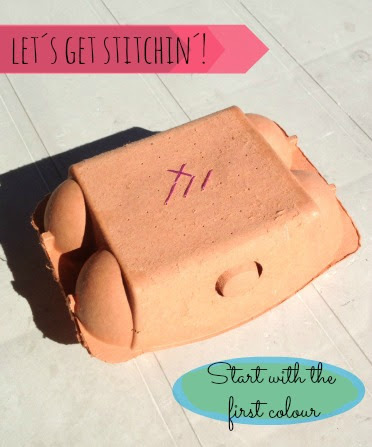 I follow your blog since a year and I'm italian… I really like every post, specially posts about recycling things.